Two for the price of one - at least until pre-school! 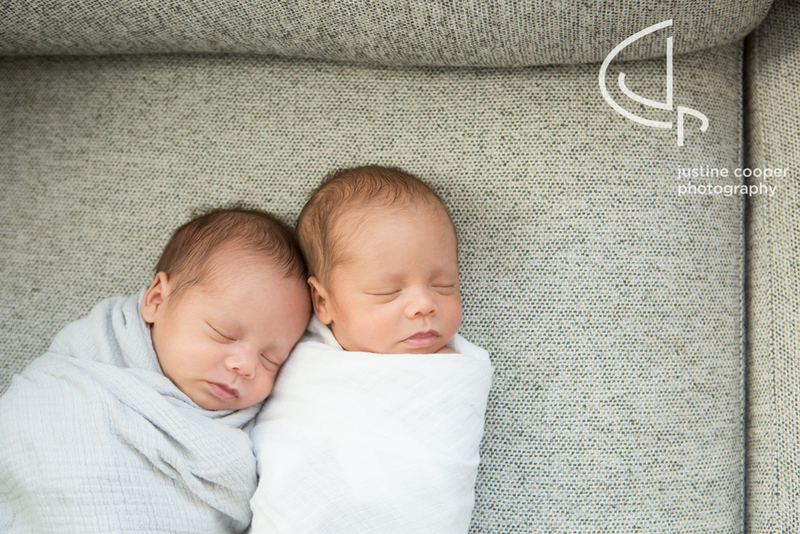 Newborn twins, they embody paradox. When one is asleep, the other is awake. When one is happy, the other is cranky. But when they both decide they are finally snuggly and satisfactorily fed, there's nothing sweeter on the planet. On a fashion note, the classic aden + anais muslin swaddles are really lovely and photograph well. 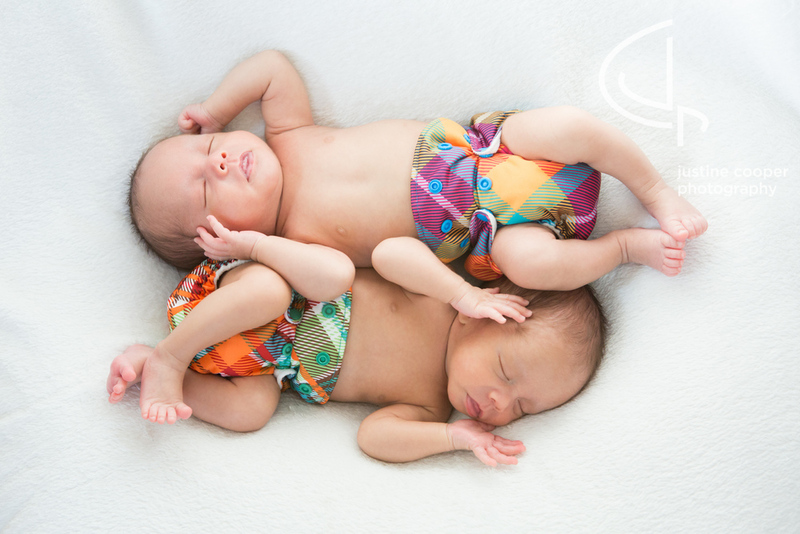 For twins, especially of the same gender, it works to have similar items, like these plaid diaper covers, with just a small variation. For parents, I'm a big fan of neutral tones in lighter shades. Dad came out in a button down and cardigan, but noted he was dressed as if he was going to the office. Once he got into his regular hoodie, he felt more like himself and it made a cozy spot for the babies to lounge in. Moral of the story, dress like yourself, even if you're just born.